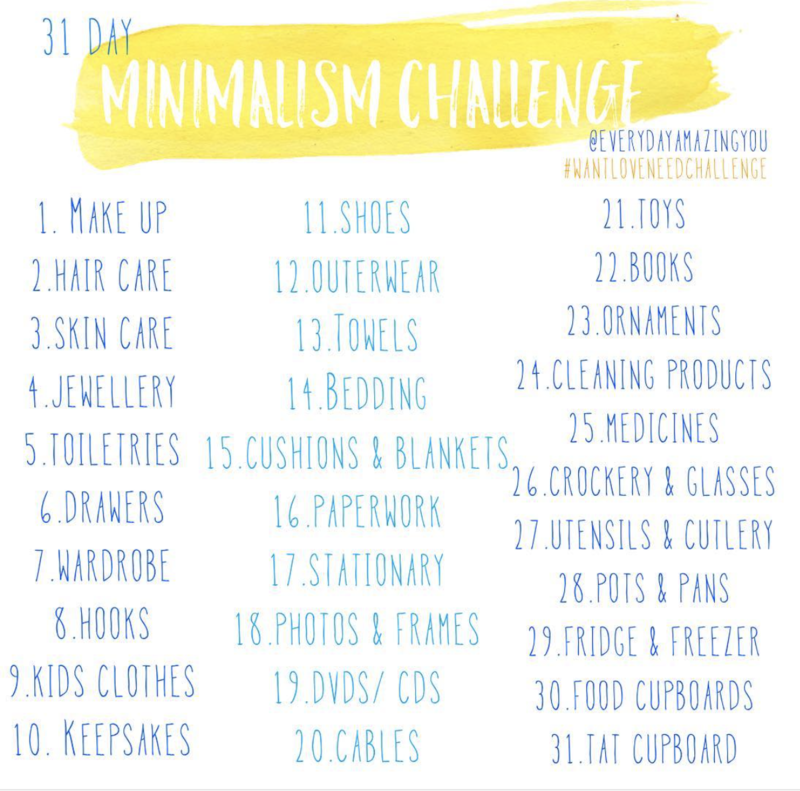 Over on my Everyday Amazing You feed I’ve kickstarted a 31 day minimalism challenge to coincide with the month of October and I would LOVE for you guys to join in! I haven’t actually introduced my new project on here yet so I’ll whiz up a post after this one where I can go into a little more detail on what exactly Everyday Amazing You is all about but I really wanted to let you guys know about this challenge first. So the #WantLoveNeedChallenge is a 31 day challenge whereby each day you minimise a different area of your physical space. I’ve already done digital challenge which again I’ll write a post up on incase you want to minimise your phones, laptops and social media platforms; but this one is for all areas of your home. 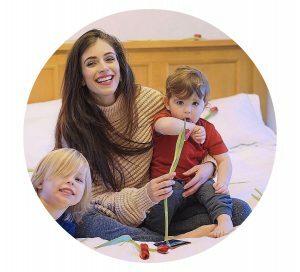 I decided to make the challenge a 31 day one so that it could be broken down into really manageable areas for those of us who are busy bees or simply feel overwhelmed with the thought of a big task like minimising your whole home in one go! Some areas are small and easy whereas others may take you a good few hours. Everyone occupies their spaces differently which I think is the beauty of this challenge as for me personally, the ‘haircare’ day took a matter of minutes, ‘drawers’ day will probably take me a good hour or two and ‘CD/ DVD’ day I can skip because I don’t actually own any. If you have days that you don’t need to do or only take you a few minutes then you could always split the larger days into two but it honestly is so relaxed and if you want to take 60 days to do the challenge with days off in-between then that is absolutely fine! The guide is there to be just that – a guide; something that you can refer to but ultimately use as a tool to assist your own journey. The reason the challenge is in October is because with Christmas coming up our spaces tend to become very full of things like presents, decorations and food. I thought October would be a great time to clear our spaces, make way for anything Christmassy that we want, love and need and ultimately save us from wasting money on doubles of things. We also tend to spend a lot more time indoors now that the weather is cooler so we want our spaces to be clear and clutter-free – a calming place to spend our time. However, even though it’s great to coincide Oct 1st with task 1 and so forth – please don’t feel like you can’t do the challenge starting from the 5th, December or 2025. The challenge can be done at any time – the most important thing to me is that you FEEL the benefits of doing it! So if you would like to join in the #WantLoveNeedChallenge then head over to my Instagram feed; all of the posts are in my highlights or you can scroll down the feed and find them. Each day I post stories sharing my before and after and I also post an image with some tips and advice. If you do join in then share the challenge post on your story or feed so that others can join in too and it also gives you a bit of accountability for the challenge. If you fancy you can also share your progress with before and afters and if you tag me @everydayamazingyou and use the #WantLoveNeedChallenge then I’ll be able to find you and cheer you on and so will others doing the challenge!